J.K. Rowling Has Finished Writing the Third Fantastic Beasts Installment! 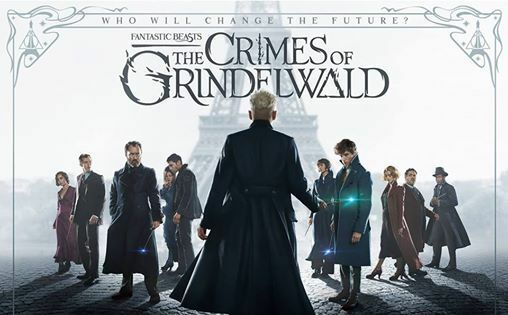 Since its debut this past November, Harry Potter fans have been walking out of theaters with a lot of differing opinions on Rowling’s film Crimes of Grindlewald. I went to see it myself, and honestly loved it; and while I do see why people are saying it’s not the most “fantastic” movie out there, I think many agree that the end leaves us wanting more, in a good way! Well our wishes have been granted! J. K. Rowling, author of the beloved Harry Potter series has announced that the third installment of the Fantastic Beasts and Where To Find Them saga has been written! The reveal happened this past Monday, after a fan tweeted her love for the Fantastic Beasts film Crimes of Grindlewald. Rowling revealed the news while responding to praise of the most recent film. Fans immediately flocked to Rowling’s tweet , expressing joy and excitement. Thank God you finished the next #FantasticBeasts. I have SO MANY questions!!! After watching Part 2 we went home and re-watched the first one. Loved part 2 was glued to screen, want to see it again!! Will definitely buy the CD once it's released! What a way to fuel the fire! Hopefully it won’t be too long until the filming wraps up, but I’m definitely getting ahead of myself. Ever wanted to travel to Wonderland? Here’s how!